Capture yourself and your one, true-love with an Illustrated Portrait. 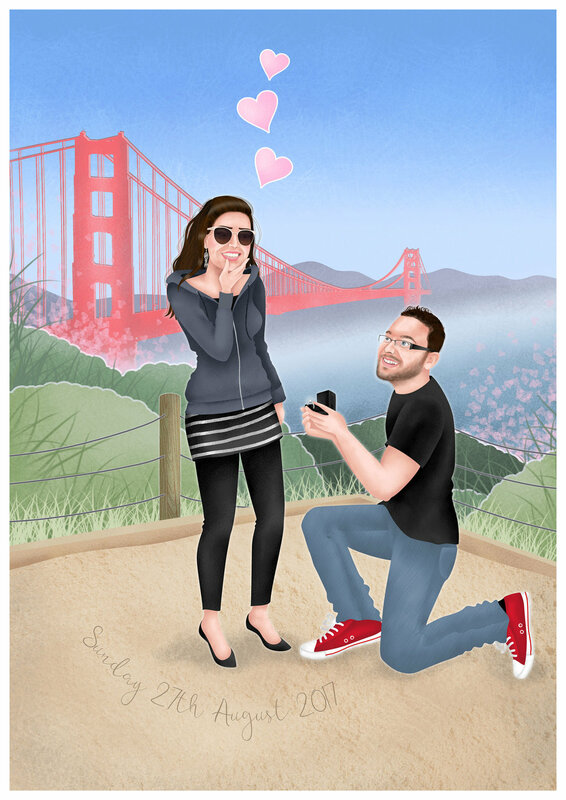 If you forgot to get a photo of the moment you got down on one knee (or you said 'yes'), don't panic - my illustrations are a lovely way to commemorate that special moment. Give as a special birthday or anniversary present, or use on Wedding Stationery such as your Save-the-Dates or and Thank You Cards. Is it the last time yourself and your other half will be just the two of you? Why, not ask me to illustrate a portrait to commemorate this. Perhaps you have a baby on the way and you'd like to announce your pregnancy in a unique way, or you'd just like a keepsake of this special moment. Please get in contact to discuss your ideas for a Bespoke Portrait - I would love to hear from you.